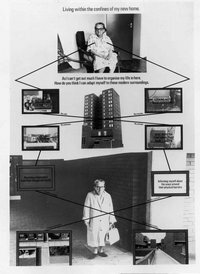 Living with Practical Realities was made with an elderly woman who lived on her own in a tower block in Hayes, West London. 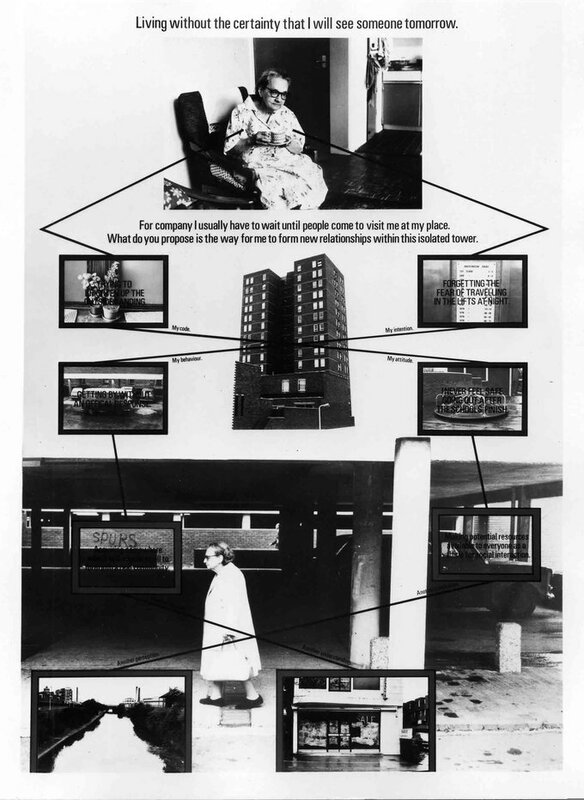 The work centres on the isolation of the elderly symbolised, physically and socially, by the tower block. 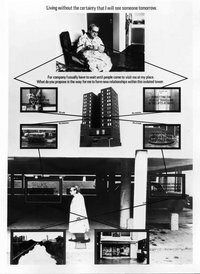 This is one of the early works in which Willats used the actual content of audio recordings and his photographic documentations that had been made with the co-operation of the woman, directly within the work. come directly from the reality she experienced within her flat in the tower block. 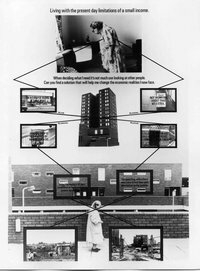 The panels contrast the institutional reality of the tower block with the day-to-day reality of her life. Each panel asks a question of the viewer, a question that is not only particular to the woman’s situation, but of universal relevance concerning the elderly. 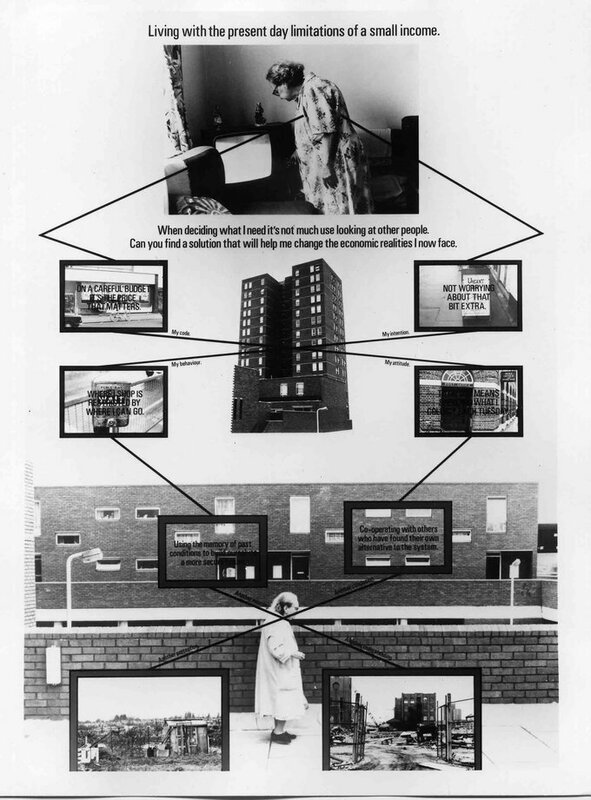 Each panel is divided with the top describing the deterministic reality of the woman in each situation, and the lower section presents her self-organised strategies for countering the isolating deprivation of the tower block’s physical reality.